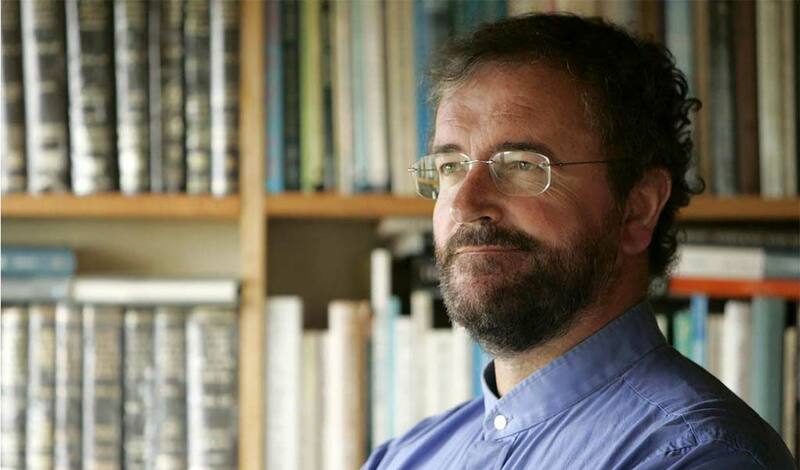 IRELAND TOUR / SEPTEMBER 2019 - The Wellspring of Presence: John O'Donohue's West of Ireland Tour Learn more! John O'Donohue was born in 1956, into a native Gaelic speaking family, on the farm inhabited by previous generations in the Burren Region of County Clare, Ireland. As the oldest of four children, he learned to work alongside his parents and uncle, developing a close kinship with the wild landscape, framed by an ethereal view of a limestone valley and the beckoning waters of Galway Bay. This valley was the shell of John's soul, forging a deep and powerful connection with the elements shaping him. He was educated at the local primary school, alternating his studies with the farm chores of tending livestock, raising crops and carving peat for fuel, in his youth. John later described the profound influence of his childhood home as, "A huge wild invitation to extend your imagination…an ancient conversation between the land and sea." At age 18, John entered the University of Ireland in Maynooth, studying English Literature, Philosophy and Theology. During these formative college years, he recalled feeling his, "mind awakening - an exciting, frightening and lonely experience," and began writing in poetic form. John was ordained into the priesthood in 1982, completing a MA in the same year. In 1986, he began his doctoral studies at the University of Tübingen in Germany and was awarded his PhD in Philosophical Theology in 1990. John wrote a provocative dissertation on the German philosopher, Hegel, later commenting, ‘Hegel struck me as someone who puts his eye to the earth at the most unusual angle and manages to glimpse the circle toward which all things aspire. He sticks to the hard edge of what is absolutely real, while encouraging this rich imagination that allows you to glimpse how dualities and contradictions actually entwine around each other.' John's insights into the Self as an unfolding journey of consciousness, memory and spirit reconciled our contradictory human existence as both Individual Person and Person in Relationship to Other. The prestigious journal, Review of Metaphysics, commended John's dissertation for, "…breaking new ground in our thinking about consciousness with a richer and deeper notion of Personhood." Following his rigorous academic studies, John returned to Ireland in 1990, to resume his priestly duties. He began to recognize an affinity of non-dualism between Celtic consciousness and the rhythms of Hegel's thought. Straddling his native folk world and the adopted Germanic culture of a primary architect of twentieth-century thought, proved a rich source of creativity. During these years, John also began working on a post-doctoral dissertation on Meister Eckhart, a 14th century German mystic and philosopher. Eckhart's ideas became a primary and profound influence, offering invitation and companionship for John to venture further in his own exploration. John's writings emerging from this period of study and reflection illuminated with deep and critical compassion our innate human hunger to belong within the physical and mental landscapes that we mysteriously inhabit. In 1997, Anam Cara, was published, instantly becoming an international best-seller and propelling John onto the world's stage. Eternal Echoes: Exploring our Hunger to Belong, followed in 1998. In 2000, John retired from public priestly ministry, living in a remote cottage in Connemara. He devoted himself full-time to writing and a public life of speaking and advocating for social justice, while inspiring the powerful in society to engage in meaningful change. 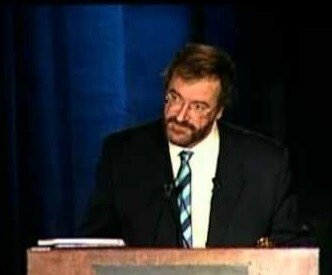 Subsequently, John's reputation as an internationally-renowned and gifted speaker, as well as seminar leader and organizational consultant, brought him to large audiences around the world. A collection of poetry, Conamara Blues, was published in 2001, followed by Divine Beauty: The Invisible Embrace, in 2004. In 2007, just two months before John's sudden and unexpected death, Benedictus (Europe) / To Bless the Space Between Us (USA) was published. Echoes of Memory, originally published in 1994, was republished in 2009, followed by, The Four Elements: Reflections on Nature, in 2010. A collection of John's interviews with RTÉ Radio broadcaster, John Quinn, Walking on the Pastures of Wonder, was published in Ireland in 2015. The counterpart, Walking in Wonder: Eternal Wisdom for a Modern World, is now available in the US/UK. Future publications are expected; a significant body of John's writing is being carefully curated and prepared for emergence. John's legacy directs our search for intimacy to crucial thresholds: tradition and modernity, past and future, life and death, the visible and the invisible world. At the heart of John's awakened beliefs was the premise that ancient wisdom could offer desperately needed nourishment for the spiritual hunger experienced in our modern world. John is fondly remembered by an international readership as one who could blend critical analytic thought with imaginative evocation, enabling people to release themselves from the false shelter of the familiar and repetitive to become agents of transformation and change.